The University of New Brunswick has been recognized as one of the country’s top employers. 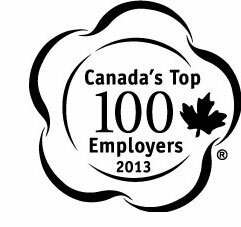 Today, the Globe and Mail announced Canada's Top 100 Employers for 2013. UNB was the only New Brunswick employer to make the list and was among 5 Canadian universities. UNB President, Eddy Campbell, says as one of the largest employers in New Brunswick, UNB is a special place to work. "Many people have commented to me over the years on the generosity and community spirit of our faculty and staff," said Dr. Campbell. "When you combine that with a strong benefits packages, special employee programs, and beautiful facilities you have a recipe for a very welcoming environment." UNB employs more than 3,000 full-time and part-time employees around the province. "I'm extremely proud of the work that our faculty and staff do," added Campbell. "It is rewarding to be officially acknowledged in such a public way." UNB was also featured in The Globe and Mail's special insert on the Top 100 employers. See the full article in addition to the complete list of this year's winners.